New Hyde Park, New York - January 22, 2019 - Twinco Acquisition LLC d/b/a Twinco Supply (“Twinco”), a subsidiary of Power-Flo Technologies has purchased the assets of Twinco Supply Corp. and will expand its operations to three new locations in Huntington Station, Long Island City, and Manhattan. The acquisition expands PFT’s market, enhances its product lines, and provides it with the ability to offer additional products and solutions serving HVAC mechanical contractors. Progressive digitization and the trend towards individualized products also require solutions that are flexible and as automated as possible, even in the part inspection area. 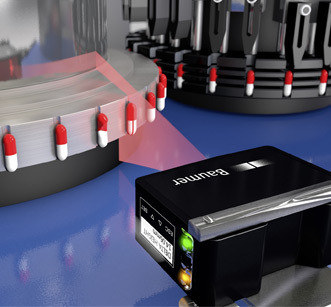 When it comes to checking whether certain production parameters lie within specified threshold values, Baumer with its PosCon light section sensors is offering an interesting alternative to conventional profile sensors or complex 3D laser scanners. The PosCon sensors are smart, preconfigured profile sensors that are especially adapted to applications such as measuring object edges, widths, heights, or round objects. PosCon sensors provide precise measurement results for direct evaluations without complex data clouds or expensive external evaluation software. PosCon sensors work without a reflector and can be put into operation quickly thanks to the visible laser line and optically aligned axis. After installation, predefined measuring functions mean that only a few parameters need to be configured to achieve precise measurement results. Another advantage of the sensors is that the measuring values are output directly in millimeters. The values can be further processed immediately in the control system. Thanks to their intelligent analysis, not only do the PosCon sensors enable the efficient measurement of preformed parts or the precise positioning of tools or robots, they also implement efficient check-and-sort functions based on threshold value comparisons. Today, the areas of application primarily focus on the automotive area as well as the metal and plastic processing industries. Furthermore, the PosCon sensors with their check-and-sort applications can also be used in the packaging and pharmaceutical industries. Of course, they are suitable for all other industries as well. The reasonable procurement and maintenance costs mean that quality is possible and affordable in many areas of the part inspection process. 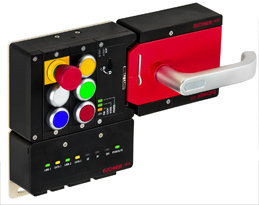 For more information on PosCon Light Section Sensors visit: www.baumer.com/quality-control. Weidmuller is honored to announce that their new ACT20P-PRO DCDC II analog signal conditioner has been selected to receive a 2017 Engineers' Choice Award in the category of Network Integration – Signal Conditioning from Control Engineering magazine. The ACT20P-PRO DCDC II was among more than 100 product finalists that were evaluated by automation professionals for technological advancement, service to the industry and impact to the market. "At Weidmuller we constantly strive to develop products that are innovative and practical for our customers. This type of recognition from the industry validates that we are on the correct path", said Bruce Hofmann, Director of Marketing and Business Development. Weidmuller's ACT20P-PRO DCDC II is a flexible and universal input analog device that offers secure isolation and precise conversion of current and voltage signals for applications ranging from machine panel control to process automation and fossil fuel energy technology. It provides users the ability to measure, isolate and convert signals from a maximum range of ±300 VDC or ±100 mA and any value in-between. Configuration is simple thanks to the ACT20P-PRO DCDC II's unique, integrated front display. The module may be configured and settings adjusted via this front display, or through the additional DIP switches, all contained in a compact 12.5mm (0.5") DIN-rail mounted housing. The individually configurable keyed plugs help protect against potential wire connection issues. Click here to visit Weidmuller's website. Dittman & Greer is a proud Weidmuller distributor. With the 4th generation of Logo!Power, Siemens has extended its power supply portfolio to include two additional power supply devices as well as additional functionalities and new scope for application. This series of compact devices now comes with a narrower width reduced by 18 millimeters, allowing more flexible mounting, for instance on DIN rails in distribution boards, or directly on walls or ceilings. They can be mounted gaplessly side-by-side with other devices, for instance to supply power to adjacent Logo! logic modules. 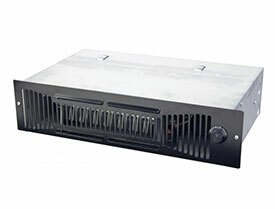 With efficiency of up to 90 percent over the entire load range, and no-load losses of less than 0.3 watts (W), these power supply devices offer outstanding energy efficiency both in standby and running operation. The integrated current monitor provides a new level of convenience during commissioning and servicing. The current output is read out in real-time as a voltage value using a measuring point. 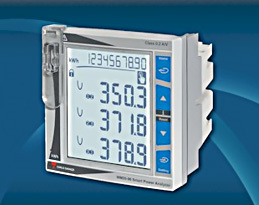 Simple measurement using a voltmeter means that the disconnection of cables by the user for conventional current measurement is no longer required, and the system continues to be supplied with direct voltage without interruption. Users also benefit from a new downward extended operating temperature range of -25° to +70° Celsius, and scope for worldwide application with a wide range of certifications. The innovated Logo!Power series with its housing widths of 18 to 72 millimeters is the compact successor to the previous 3rd generation. The new variants with 24 V/0.6 A and 12 V/0.9 A extend the portfolio for very small outputs and come in a width of just one 18 mm pitch. A total of eleven devices with regulated and adjustable output voltages of five, 12, 15 and 24 volts (V) supply an output of up to 100 W. Their wide-range input allows these power supply devices to be operated at all single-phase supply networks with 110 to 240 V AC nominal voltage and even at direct voltage networks with 110 to 300 V DC without the need to switch over. For capacitive loads on power supply start-up, a power reserve of 150 percent is available, and the constant current behavior compensates for overloads during operation. A diagnostic LED signal "DC O.K." indicates the status of the power supply device. Fields of application for Logo!Power in industrial automation include simple packaging machines, garbage presses, conveyor belts, sorting systems, infeed units and sterilizers. In the field of building technology, the power supply devices can be used for lighting controls, such as panic circuits, central and random circuits, heating control system extensions, door and gate controls, and access restriction. Logo!Power devices are also found in pumping stations, special-purpose vehicles, saunas, swimming pools and automatic livestock feeding devices. Siemens Process Industries and Drives helps its customers increase productivity, safety, reliability, efficiency and time-to-market for plants and processes with innovative, integrated technology across the entire lifecycle. For more information on Logo!Power visit: http://sie.ag/2rIAH9j. Carlo Gavazzi is pleased to announce the new WM20 Three-Phase Power Analyzer, an exciting new product range targeted to assist manufacturers and end users in monitoring and managing escalating energy costs. The WM20 is a modular class 0.5S (kWh) 3-phase power analyzer which can be used for single, two and three phase systems. It is capable of measuring most relevant instantaneous electrical variables, harmonic distortion, and energy generation or consumption. Four versions are available to manage up to 600 VAC systems with a choice of either a one or five amp current transformer input. All information gathered is available on a large, bright LCD display and can be transmitted by one of the available communication protocols: including Modbus (RS-485, TCP/IP), BACnet, (RS-485, TCP/IP) and Profibus. The new 'rotating pages' function automatically shows all measurements in a sequence without having to scroll manually through the keypad. 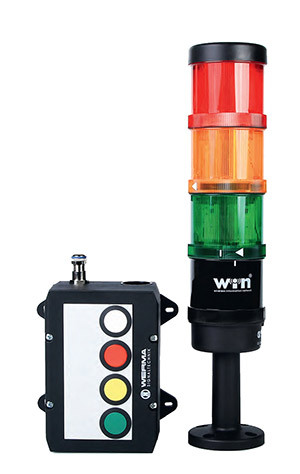 The WM20 Power Analyzer can be used as a stand-alone meter or be a part of the complete VMUC-based energy management system. This analyzer can be used in a wide number of applications, ranging from building automation (for monitoring of the mains or sub-metering) to industrial automation (for monitoring variables and consumption of a single machine, or for the mains of an entire manufacturing facility). Click here for more information on Carlo Gavazzi's new three-phase power analyzer. Gefran has recently launched a new family of PID controllers including three models: 850/1650/1850. Accurate regulation, numerous options and exclusive functions make these devices so intelligent that the system regulating and controlling a production process can be simplified, installing one single device instead of several (double controller, PLC and HMI, timer). It delivers significantly lower purchase, installation and operating costs with high precision, stable measurement and PID control combined with logical and mathematical functions. These features make the Performance series the ideal solution for regulated processes such as heat treatment of metals, laboratory equipment, and pharmaceutical and medical sterilisation processes requiring particularly precise, accurate measurement. The new controllers continue the process of expanding the range and represent the natural evolution of the 650/1250/1350 family, which Frost & Sullivan named PID controller of the year in its category last year. The 850/ 1650/ 1850 series, available in three sizes (1/16, 1/8 and ¼ DIN), shares many of the exclusive features for which the 650/1250/1350 family was selected for the prize, and offers even more. A series of features remain unaltered, such as the customizable display, bright lighting and high resolution for easy reading by the operator, easy configuration with a software tool, multilingual messages, functions for planning preventive maintenance and constant monitoring of energy consumption. For further information on Gefran automation products, contact Dittman & Greer. The new MGB2 represents the consequent further development of the globally successful Multifunctional Gate Box MGB. A revised design, new and expanded functions, as well as a modular layout offer maximum flexibility. The MGB2 is more than just pure safeguarding. It makes it possible to integrate into one device all the relevant functions related safety guard. 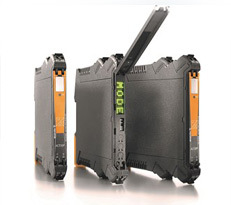 In the Modular version the MGB2 is equipped with a bus module (MBM) with PROFINET/PROFISAFE integrated. This module can either be connected directly to the MGB2 or, if space is tight, it can be mounted remotely and connected using cables. 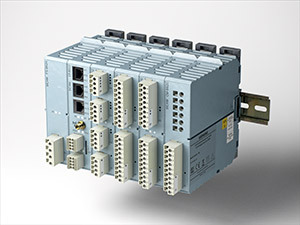 If the bus module is mounted remotely, it is even possible to connect several MGB2 Modular to one MBM. Thanks to the modular design, the MGB2 Modular can be variably equipped with different functions. It offers space for two submodules, each with up to three different controls. It is possible to replace a submodule at any time, even during operation, as the new MGB2 Modular is hot-pluggable. For further information on the Euchner MGB2, contact Dittman & Greer. Leeson Electric recently announced that the Extreme Duck® Ultra motor has earned the stringent IP69k ingress protection rating, validating that the revolutionary design is completely impenetrable to liquids and dust in any mounting position. Made entirely of stainless steel, the FDA-approved food-grade model is manufactured with materials and lubrication that are safe in sanitary environments and tough against moisture, humidity and chemicals that cause corrosion. "The next generation design of the Extreme Duck Ultra motor withstands the harsh use that's common in the food processing industry," said Steve Bernhardt, LEESON Electric lead application engineer. 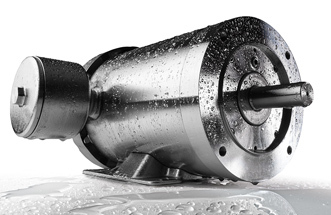 "The all-stainless motor was researched, designed and tested specifically for use in wet environments and we're thrilled that it is now IP69k rated." For further information on Leeson Electric's full line of motors and drives, including the Extreme Duck, contact Dittman & Greer. Dittman & Greer is pleased to announce the availablility of a new M12 Premium connector for Cat. 6A, manufactured by Lütze. Thanks to its special IDC insulation displacement connection, it allows a much faster, safer and easier assembly than comparable connectors. The M12 - with its X-coded contact arrangement - is suitable for all broadband, Ethernet and Profinet applications, such as the 10 Gigabit real-time transmission of audio and video signals. 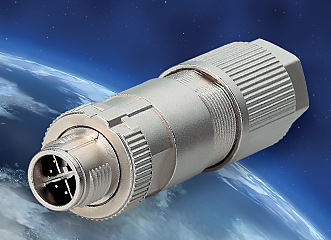 The connector can easily accommodate cables from 5 mm and even thicker robot cables with a diameter of up to 9.7 mm and is suitable for cable diameters of AWG 22-26. For further information on the new M12 and Lütze's full complement of cables and connectors, contact Dittman & Greer. With the SLS 518, Leuze electronic expands its product line of single beam safety devices of the SLS series with a new, compact and economical type 4 model. It is especially well suited for access and point of operation guarding in confined spaces in tool manufacturing, conveyor and lifting technology as well as in the packaging industry. January 13, 2017 - With the new type 4 SLS 518 single beam safety device in IP67 plastic housing, Leuze electronic presents a new model which, thanks to its compact housing dimensions and M18 cylindrical construction, is especially well suited for installation in confined spaces. It can be easily and flexibly integrated in a wide range of applications using an M12 plug. In combination with the MSI-TRM monitoring device, the SLS 518 forms type 4 electro-sensitive protective equipment for applications which require Safety Integrity Level (SIL) 3 or Performance Level (PL)e. Designs with infrared light LED and red light laser are available for different operating ranges. Especially for shorter operating ranges, the infrared model is a cost-effective, type 4 entry-level solution. For further information on Leuze's SLS 518, contact Dittman & Greer. The innovative Emparro67 Hybrid from Murr Electronic is a switch mode power supply with many powerful features. It not only allows you to relocate the power supply from the control cabinet to the field but it also monitors currents using two integrated 24V DC load circuit monitoring channels to ensure system reliability. An IO-Link interface permits extensive and transparent communication. The new Emparro67 Hybrid has two integrated MICO channels for electronic current monitoring of two 24V DC load circuits. The two channels can be used to keep an eye on a variety of components including sensors, actuators and fieldbus modules. This allows you to separately monitor the sensor and module voltage as well as the actuator voltage of a connected fieldbus system. This guarantees maximum operational reliability. The two MICO channels can be adjusted to different current values and their tripping process works off of the principle of "as late as possible, as early as necessary." For further information on Murr's Emparro67, contact Dittman & Greer. The industrial automation world is constantly searching for ways to increase installation reliability, speed up the installation process, and reduce downtime. Junction blocks often referred as terminal blocks and distribution blocks provide a simple and effective way through consolidating connections from various types of control systems and sensors that have many I/O points. Mencom Junction Blocks offer a wide range of circuit configurations in 7/8-16 MINI series, M12 & ½-20 Micro series, M8 Nano series, and DeviceNet Series. They feature a homerun connector (cable, cable with connector, receptacle, or field wireable) which easily routes signals from multiple inputs back to the main control system. This significantly reduces potential errors associated with wiring, rewiring and I/O replacement. Furthermore, both cost and downtime are also minimized. The port configuration varies by the series with a choice of one or two signal per port. The 7/8-16 MINI series is available in 4, 6, and 8 port configurations with an optional stainless steel housing. The Micro Series and DeviceNet are available in 4 to 12 ports with and without LED indication. Mencom Junction Blocks are IP67 rated for a wet environment, and designed to endure high-impact and vibration so that a reliable connection is consistently provided on the harsh manufacturing floor. Mencom also offers custom solutions from small changes to complex terminations to meet the various needs of control systems in the automation industry. For further information on Mencom Junction Blocks, contact Dittman & Greer. HARTING has expanded the choice of cables that customers can use in its Han 3A size connectors. The Han 3A now can be assembled with cable diameters as large as M25 instead of the previous limit of M20. 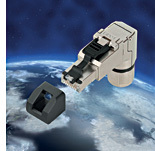 This increase allows the connectors to be configured with any contact insert in the series, including those with higher rated current and bigger cross sections – such as the Han® Q series. The hoods also meet the requirements of protection classes IP 65/67. The new Han 3A hood components feature a narrow external geometry overall, terminating in the cable holding area. In the plastic version, the hood is available with a bigger M25 connection, which makes additional types of mounting feasible, for example on control cabinets. 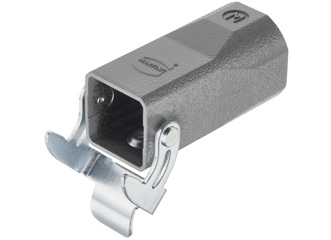 For metal Han 3A, coupling hoods are available in M25 along with the existing housings. Other versions, such as EMC – electrically conductive and M – for stricter corrosion requirements, also are available. The HARTING M25 screwed cable glands for both the plastic and metal 3A size hoods cover a clamping range of 9-18mm. For further information on Harting cables connectors, contact Dittman & Greer. Carlo Gavazzi is proud to announce the launch of new two-pole solid state relays, the RK Series. Reducing the size of components is becoming a necessity for equipment manufacturers who want to stay competitive. Carlo Gavazzi has developed the RK Series with this idea in mind, as it provides solutions that minimize space requirements without compromising performance. The RK Series consists of solid state relay (SSR) solutions which have two poles in a single housing. It gives the option of having the two poles controlled independently or simultaneously. The latter offers a cost effective solution for economy switching of 3-phase loads. The RK Series SSRs are ideal for reliable switching of resistive loads. This new series extends the current ratings of two pole solid state relays to 75 AAC per pole with a proper heat sink and provides output screw terminals for secure connectivity of cables with ferrules, ring or fork terminals. The RK Series comes with features that provide time-saving installation and a reduction in downtime, thanks to trouble-free solid state operation, during the lifetime of the SSR. It conforms to global standards such as UL 508, CSA C22.2 and EN 60947-4-3; therefore, it can be used globally in applications/markets involving switching of resistive heating elements, i.e. Food and Beverage, Plastic and Rubber, Semiconductor, HVAC, and others. 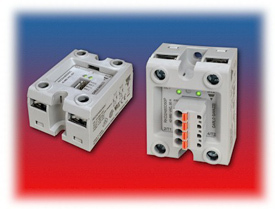 For further information on Carlo Gavazzi RK Series relays, contact Dittman & Greer. The QTS Series of Toe Space Heaters is designed for installation in smalls spaces where traditional heaters won't fit. With four available models, the QTS Series of heaters offers slim designs that add "invisible" heat to residential spaces such as, kitchens, utility rooms, stairways and checkout counters. "For customers requiring heating solutions that are concealed or out of eyesight, we offer 'invisible heat' products such as the Toe Space heater," said Dennis Krob, product manager for Marley Engineered Products. "With a width of only 14 ⅛ inches and height of 3 ⅝ inches, this heater will fit into narrow applications such as the risers of a stairway or under the vanity in the bathroom. This series is also convenient for commercial locations such as checkout counters, tollbooths and other small spaces." Each unit also comes equipped with an automatic over temperature protector and thermal fuse that guard against overheating. A thermal cutout indicated with a pilot light protects against overheating comes standard on the unit. To learn more about this heater, contact Dittman & Greer. Siemens is launching a new telecontrol and power grid automation system on the market: the modular equipment series Sicam A8000. This combination of power supply, processor, and expansion modules can be employed in substations, in distribution network automation, for connecting renewable energy sources, for power supply applications in industry, or in railway power supply systems. The compact device CP-8000 comprises a power supply, a display with function keys, and binary inputs and outputs. New processor and power supply modules in conjunction with expansion modules enable scalable solutions for a wide range of different power requirements. Analog input modules with four inputs are available, as are binary input modules with 16 inputs and binary output modules with eight outputs. There are analog input modules with three inputs for current and voltage and a current transformer adapter module with three current inputs. With a standard width of 30 millimeters, the modules can be mounted on a DIN rail in any sequence and are interconnected via a bus on the back side. The system automatically detects the individual modules during startup. Thanks to the different power levels of the processor modules and expansion modules, the system is almost infinitely scalable and expandable. The telecontrol and grid automation system – which is based on international standards such as IEC 61850 – can also be operated in climatically adverse conditions thanks to its extended temperature range from -40° Celsius to +70° Celsius. In addition, the enhanced EMC stability with a voltage of up to five kV (IEC 60255) permits direct application in substations. An integrated crypto chip protects the data in a secure environment, IPSec encryption allows secure communication over IP networks, and an https protocol ensures the secure transmission of sensitive data. 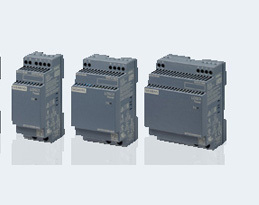 For further information on Sicam A8000 Series, please visit the Siemens website. WERMA Signaltechnik, based in the south west of Germany, is launching at Logimat in Stuttgart (8th-10Th March 2016) a unique, intelligent call for action andon light system for warehousing and packing operations. Unlike traditional andon lights this not only gives clear and immediate optical signalization of operational condition changes but also documents and analyses non- productive events. AndonSPEED allows the member of staff to simply press a but-ton on his packing station and activate a signal light which gives a clear indication of the type of assistance required and thereby enable intervention to respond immediately. Whether it be a request for new material to be delivered, assistance required or that work is running out, with the help of AndonSPEED the appropriate intervention can be called up im-mediately. This can help reduce waiting times and delays in responding to requests for intervention and thus make the operation more lean and efficient. The TS 8 enclosure is Rittal’s flagship product, with more than 10 million units sold to date. 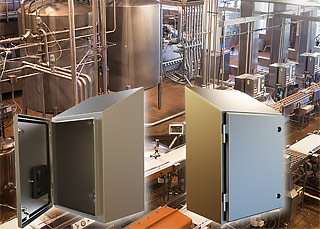 Across North America and around the world, industries as diverse as Oil & Gas, Food & Beverage, Water Supply/Wastewater Management, Wind Power, Data Centers, Chemicals and Medical Technology rely on this versatile, modular enclosure design for panel building, low-voltage switchgear, IT infrastructure and mechanical engineering applications. 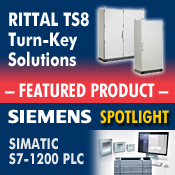 For more information on Rittal’s TS 8 enclosures, contact Dittman & Greer. DS60 and DSN150 Division 2 / Zone 2 receptacles feature a standard screw-type locking pawl. This required feature allows the user to lock the plug to the receptacle by tightening a screw on the pawl. For added security, a lockout hole is included on the receptacle that enables the user to insert a 5/16” lock or locking pin to prevent the plug from being disconnected or to lock the receptacle lid closed. For more information on the DS60 and DSN150, click here to download the data sheet. The Waterfall Series is initially available in 18 sizes, ranging from 16 x 12 x 8 inches to 60 x 36 x 16 inches, in both 304 and 316 material. For easy cleaning, a smooth #4 finish, with the top and the door top sloping at 25° to promote water run-off. The sloping top also prevents clutter being placed on the top of the unit, an important consideration in facilities implementing 5S working practices that promotes order and cleanliness in the workplace. A V-shaped lip channels water around the door opening and creates a large gap between the door and the body for easy access for cleaning. Crevice-free quarter-turn door latches and an easy to clean lift-off hinge design also contribute to easier cleaning. For more information about Hammond's new Waterfull Series wall mounted enclosure line, contact Dittman & Greer today. Siemens announces the new launch of Sirius Act, a unique portfolio of 22 mm IEC push buttons, indicator lights and selector switches that showcase modern design, extreme robustness, flexible communication, and ease of installation. “I’m very excited about the latest development of our new line of commanding and signaling devices. The new design provides a modular approach to ease installation and offers an extensive selection for every application with IP69K ruggedness offerings. I’m confident our customers will see and appreciate the level of innovations in the Sirius Act products,” says Dale Langston, vice president of control products, Siemens. The flat, round metal and plastic elements combine functionality with an esthetic look. Customers can choose from four design lines and diverse options for combining actuator and indicator, material, color, the type of front ring and lighting providing an option for every application and budget. Sirius Act push buttons utilize a snap-on concept making them easy to install saving on installation time. There are no special tools required and there is simple geometry for mounting holes. The self-explanatory installation can be completed with one-hand for the actuator, holder and contact block. Additionally, visible installation markers and indicators on the components help further reduce the risk of incorrect installation. IP69K is the new standard for the product line providing users with the highest degree of protection. It is suitable for cleaning with a high pressure jet at high temperatures as well as other extreme environmental influences. 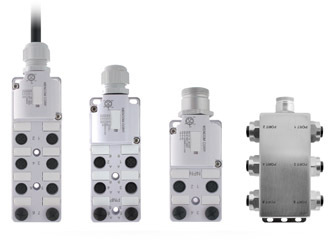 The Sirius Act product line provides flexible communication allowing connection to AS-I, IO-Link and Profinet. When linked to IO-Link and Profinet, the buttons can be integrated in the TIA (Totally Integrated Automation) portal. For more information on Siemens Sirius Act push buttons, please visit: http://bit.ly/siriusactlaunch. Buck Boost transformers are the ideal solution anytime a line voltage change in the 5-15% range is required in single phase or three phase applications. Until now, three phase applications required multiple separate single phase Buck Boost Transformers to be wired and mounted together. Acme Electric’s new 3 Phase Auto Buck Boost Transformers remove the need for multiple separate units and provide the same great electrical advantages standard Buck Boost Transformers offer in one simple and convenient package. These Transformers are the best economical solutions available for three phase applications, requiring only one transformer and reducing the overall footprint. Additionally, the transformers are assembled and	prewired at the factory, a considerable time and installation cost savings. 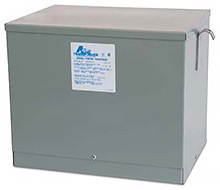 Acme Transformers are UL Listed with a 10 year warranty and are currently being offered in five of the most common sizes, 6, 9, 15, 30, and 45kVA in Type 3R enclosures. West Control Solutions, a global specialist in process and temperature control, has launched MAXVU – a compact controller that can be set up in one minute for many packaging, food and beverage and textile industry applications. MAXVU offers faster set-up than rival products because its start-up configuration menu only shows the most vital parameters including sensor types, units, outputs, alarms and setpoint values, removing time spent scrolling through unnecessary options. MAXVU is particularly suited for packaging tray and bag sealers, textiles applications (such as seam sealing and thermal bonding) and processes in the food and beverage sector including fryers, micro-breweries and chocolate tempering. MAXVU's ease-of-use is supported by its large display. A unique button design on the 1/16 DIN product, with the buttons at left and right of the digits on the keypad, allows an impressive 18mm upper digit and 10.2mm lower digit height in a 48mm high device. The larger digits offer increased clarity and visibility from distance to view vital process information and alarm messages that help monitor a system is running effectively. An equally impressive 96x48mm unit is also available with 18mm digits upper and lower. Click here for more information on MAXVU, or contact Dittman & Greer for further information. LÜTZE has met growing data quantity requirements and, in addition to the straight version, has now launched an angled 8-pin cat. 6A RJ45 industrial connector. The multiport-capable LÜTZE RJ45 connector is made of an extremely durable and EMC-safe full metal casing and is suitable for connecting various cable types: cables with up to 19-strands, sheath diameters from 5.5 to 10 mm and strand diameters from 0.85 to 1.6 mm and AWG 26-22 can also be terminated. The LÜTZE connector can be installed on site without any special tools. The cable outlet can be affixed individually in 90° steps in all four directions. Subsequent changes in direction can be realized very easily. The UL-listed LÜTZE connector is suitable for all standard industrial networks and, thanks to the cat. 6A to 10 Gbit/s including Power Over Ethernet, and allows the fastest transfer possibilities that the RJ45 has to offer. With a working temperature range of -40 to +80°C, the LÜTZE cat. 6A connector is suitable for use in very harsh industrial environments. Typical wiring applications include use as C-track chains, in industrial cameras or in switch cabinets, e.g. for switches with high-density connections. Many users now demand ever-larger bandwidths in industrial environments. Click here for more information on LÜTZE's new 8-pin cat. 6A RJ45 premium industrial connector, or contact Dittman & Greer for further information. Design aspects along with modularity, functionality and ergonomics, are rapidly becoming more and more important for plant and machinery manufacturers, especially when selecting the appropriate control enclosure for their machines and installations.To meet the increasing demand for aesthetically pleasing enclosures, we have developed a new BERNSTEIN Control Enclosure System. In addition to technical optimization, a contemporary design and modular systems are of the utmost importance – all are included in this new product. The dimensions of the new control enclosure CC-5000 neXt (along with our existing series CC-3000, CC-4000 and CC-4000 SL) are freely selectable. Nine possible depths are available. Basic section: 75 mm (2-61/64"), 125 (4-59/64") and 185 mm (7-9/32"). Section combination possibilities: 150 mm (5-29/32), 200 mm (7-7/8"), 250 mm (9-27/32"), 260 mm (10-15/64"), 310 mm (12-13/64") and 370 mm (14-9/16"). The obtained installation depths range from 53 mm (2-1/16") to 334 mm (15-5/32"). The width and height dimensions are offered up to 1000 mm (39-3/8") in either direction. Frames can be used in individual or multiple combinations. Innovative console configurations are possible thanks to a connecting element which has been designed inline with the new design. Click here for more information on Bernstein's new CC-5000 neXt Aluminum Control Enclosure, or contact Dittman & Greer for further information. Through the integration of the communication interface IO-Link for the sensor principles diffuse mode sensor with background suppression and SmartReflect (the light barrier without a reflector), the optical O300 and O500 NextGensensors have improved their already outstanding efficiency. 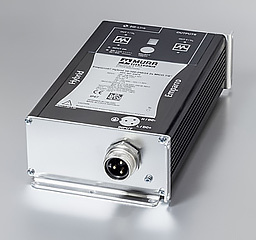 The IO-Link interface facilitates the rapid startup of systems through the automated transmission of various parameters such as sensing distance accurate to the millimeter, light or dark operate, or switching points. In addition, the new Baumer filter functions guarantee the safe and reliable detection of difficult objects, for example objects with holes. Through the option of automatically changing the locking times of the sensors, these sensors also have a high level of user-specific functional reliability. Thanks to two powerful filter functions, the new O300 and O500 sensors with IO-Link are also suitable for difficult detection tasks. The first filter function delays the response and/or the release time of the sensor. For example, this function makes it possible to reliably detect objects with small holes or also objects on conveyor belts with holes. The second filter function makes it possible to set a minimum pulse length, thus facilitating the detection of small, narrow, fast objects. Here, the sensor lengthens very short switching signals until the minimum pulse length is reached for the controller in question, which can then further process the switching signals reliably. 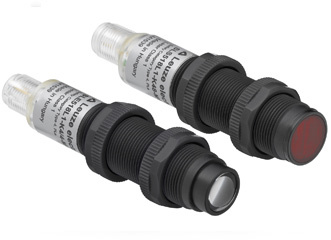 A further special feature of Baumer is the increased functional reliability of the sensors. Thanks to the innovative qTeachprocedure, optical NextGen sensors have a standard locking time. This protects the sensors from unintentional manual manipulation. With the Baumer IO-Link profile, this locking time can be individually set or changed, depending on everyday production requirements. IO-Link also offers the option of efficiently using the diagnostics features integrated in the optical NextGen sensors. Information about soiling or signal quality can be retrieved directly and used to optimize system availability (e.g. through preventive maintenance) and productivity. Find out more about the powerful Portfolio O300 and O500 and about the new NextGen performance class on the Baumer website. or contact Dittman & Greer for further information. The GMB Series are UL489, AC miniature molded circuit breakers, which provide reliable protection for a wide range of applications including branch circuit protection of HACR equipment, power supplies, transformers, motors, receptacles and other equipment. 1, 2 and 3 pole arrangements are available, ranging from 0.5A to 63A, with short circuit interrupt capacity of 10kA. The GMB Series circuit breakers are cUL listed and conform to IEC standard EN-60947-2. The GSB Series are UL1077 AC supplementary circuit protectors, which offer overcurrent protection for specific applications where branch circuit protection is already provided by another device or is not required. They are available in 1, 2, 3 and 4-pole variations, ranging from 1 to 63Amps and have a short circuit interrupt capacity of 5kA. The GSB Series are cUL recognized components. The new GMB Series UL489 branch circuit protectors and GSB Series UL1077 supplementary protectors are housed in compact 17.5mm wide housings (per pole), with robust DIN-rail mounting and red/green diagnostic trip indicators. C tripping curve is standard, with B & D tripping curves available upon request. Click here for more information on Carlo Gavazzi's miniature circuit breakers, or contact Dittman & Greer for further information. Siemens Industry Automation Division is launching a new generation of its high-end industrial PC family Simatic IPC for hostile industrial environments. The new devices of the D generation support the power multi-core processor types Intel Xeon and Intel Core i3 to Core i7 of the fourth generation. They are the first box, rack, and panel industrial PCs of that type on the market. The D devices have 60 to 180 per- cent higher CPU power than the predecessor models of the C generation. The HD on-board graphics integrated into the CPU with dynamic frequency now achieves three times higher graphics performance. Click here for the latest information and news about SIMATIC Industrial PCs and SIMATIC PC-based automation, or contact Dittman & Greer for further information. Click here to view this item on the OGDEN web site, or contact Dittman & Greer for further information. SafetyBase.com is a free educational website (sponsored by Siemens Energy & Automation) developed by a group of U.S. safety experts who have joined forces to bring you the latest information and resources on industrial automation safety issues. It provides resources that will help you address industry standards and OSHA regulations, understand how safe environments correlate to increased productivity, tips on improving machine, process and personnel safety, and reducing risks and minimizing insurance/liability costs.